This post was written by Mr Wilj Dekkers who attended the Annual E2 Conference. He is the second St Andrew’s College teacher to be invited to this global conference, after Mr Ben Hilliam attended in 2015. 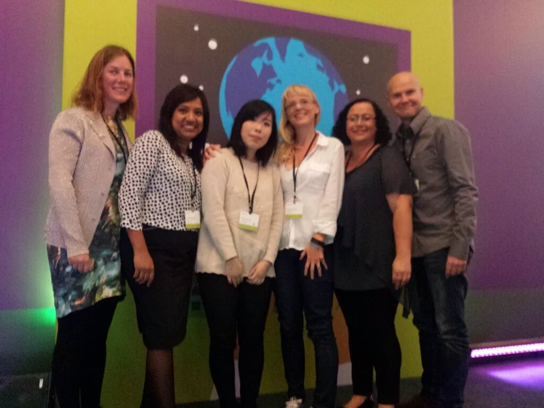 Microsoft Education hold an annual event that celebrates the achievements of educators who combine pedagogy and technology in their classrooms and schools. 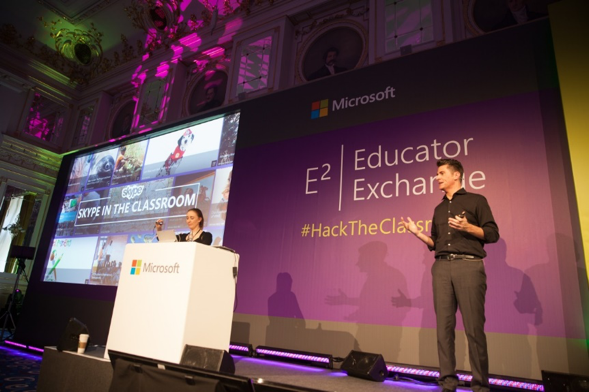 The event is held in a different global location each year, with 2016 seeing Microsoft Innovative Educator experts (MIE experts) converge on Budapest, Hungary. I was fortunate to be selected as one of five New Zealand educators to attend this year. The E2 educator conference ran during the week of March 7th and was based at the Corinthia Hotel in the heart of Budapest. 300 educators from across the globe were given opportunities to collaborate and share our experiences integrating technology within our schools in ways that enhance and move learning forward. As with every conference, a series of keynotes and discussion panels provided all delegates with inspiration and thought provoking ideas. Two of the highlights of the morning keynotes were Stephen Reid and Jacqueline Russell. Stephen runs a company called Immersive Minds and for the past 20 years has been using technology as a learning tool in classrooms. Stephen works with students and teachers to create new learning environments though a mix of digital and real world tools, developing confidence in the learning process on both sides as well as competence in the use of technology to support pedagogy, classroom management and assessment. Stephen presented how he uses Minecraft to help develop Key Competencies through History and Science. I attended one of Stephen’s workshops and spent time speaking with him about my own use of Minecraft to enhance literacy and accepted his kind offer to help us at St Andrew’s with ideas we are developing using Minecraft as part of the school centenary. Jacqueline presented a keynote focussed on the Surface Pro 4. Before leaving for the conference, Jacqueline sat with her daughter and talked about where she was going and together, mother and daughter used the Surface and stylus to research, collate and create a digital scrapbook within MS OneNote. This was an honest representation of the power and ease of this tool when placed in the hands of children. This reflected my own views as detailed at the end of last year when Microsoft interviewed and filmed teacher’s perspectives of the Surface device being used as a learning tool. The workshops this year were diverse with subjects such as flipping your classroom using OneNote, Surface and digital inking to engage students; Minecraft application throughout Science, Technology, Engineering, Arts and Maths (STEAM); building a world in Project Spark that reflected the collective understanding of the ideal learning environment; digital literacy and creative programming in the classroom. One particular workshop was run by Nikkie Laing, a Microsoft Innovative Educator Fellow from Opaheke School in Auckland. Nikkie’s workshop centred on the use of Office 365 SharePoint Sites. In detail Nikkie shared how to minimize the time teachers spend collating and preparing resources and the time learners spend looking for materials and get on with learning. Her presentation and workshop was so well structured and delivered that she won the prize of best presentation of the conference. An overview of Nikkie’s workshop is below. Overall the experience has both reinforced my beliefs in the importance of integrating technology purposefully in learning and motivated me to expand upon my own pedagogical learning. The people I met have continued to amaze me with their enthusiasm and creativity. The New Zealand and Australian contingent have remained in contact post conference, having developed both a close network and long lasting friendship. We are already planning continued collaborative, cross Tasman learning opportunities for our students.